I’ve always been a firm advocate for getting your point across in as few words as possible. Today’s readers are more pressed for time than ever before, and as it relates to PR, reporters are bombarded by pitches all day long, so the faster you can get to the point, the better. Unfortunately, a lot of writers have a tendency to use redundant phrases that bog down their writing. 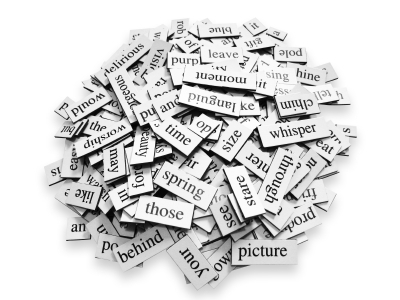 Using unnecessary words doesn’t just make your press release, article, blog, email, etc. longer, it also makes it weaker and muddles whatever point you’re trying to make. Keeping your sentences crisp and clear can add punch to your writing, helping you get your point across more effectively. With that in mind, I’ve come up with a list of 20 redundant phrases you should strive to eliminate from your writing. Advance preview — The dictionary defines preview as “anything that gives an advance idea or impression of something to come.” There’s no need to slap the word “advance” in front of it. At the present time — Simply say either “at present” or “at this time.” There’s no need to be wordy. Collaborate together — You see this one a lot in press releases announcing partnerships or mergers. When you collaborate, you’re working with others. The word “together” is redundant. Completely unanimous — Let’s go back to the dictionary, shall we? Unanimous: in complete agreement. That’s all you need. Extra bonus — A bonus is something extra, so you don’t need to use that extra word (see what I did there?) to try to build excitement. Final outcome — See #7. Free gift — Nothing beats free. Thankfully, gifts are free. Major breakthrough — This is another one you see in press releases and marketing materials. A breakthrough is something that provides a significant or sudden advance or development. Adding the word “major” is unnecessary. Past history — All history is in the past. Positive improvement — As opposed to what…a negative improvement? Repeat again — To repeat is to perform an action again, making the word “again” pointless. Serious crisis — If you’ve ever faced a PR crisis (or any type of crisis), I don’t have to tell you that it’s serious. All crises are serious. Totally unique — There aren’t degrees of unique. Something is either unique or it isn’t. Unexpected surprise — If you’re expecting something to happen, it’s not a surprise. Unintended mistake — If you intended for something to happen, it wasn’t a mistake; it was a poor decision. What are some other redundant phrases that drive you nuts? Share your favorites by commenting below. Excellent, Mickie. Some of these redundancies are so ingrained that we have forgotten the proper grammer rules. Err . . . That’s “grammar”. Well said Mickie. But I dont quite agree with you on the word ‘notice’. This word can attract the adjective ‘advance’ because not all notice is given in advance. More, see below Merriam Webster 11th Collegiate Dictionary’s definition of ‘notice’. Thumbs up! This is not a redundant phrase but it is a phrase I dislike seeing in marketing or advertising: “New and Improved”. It’s either NEW or it’s IMPROVED it can’t be both. Who else could you think to? #3 – How about just “now”? Sometimes the use of present tense is enough. Another one for the list: first started, first introduced, etc. Another one is “down below”. Maybe you should take a step back and remove yourself from the situation. Is it correct? or should I not use “remove” because it’s gonna be redundant?